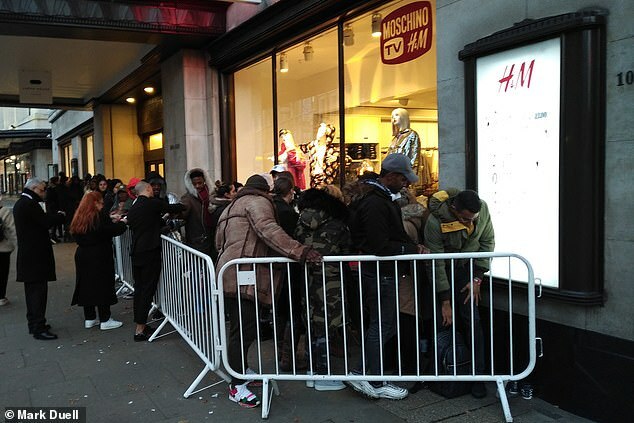 Fashion fans queued up for nearly ten hours ahead of H&M’s latest desginer collaboration with Moshino, as items have already been put on sale on eBay. 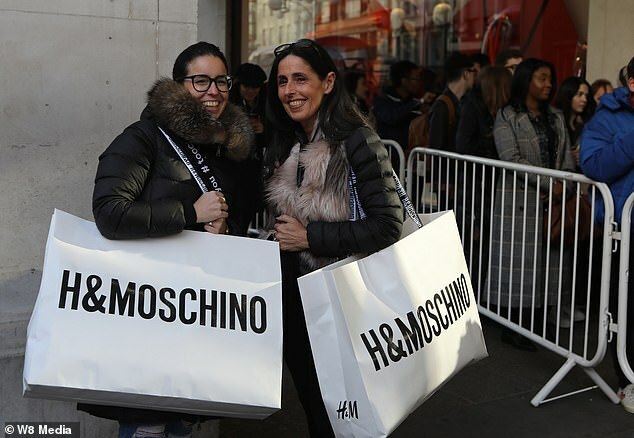 Queues snaked along high streets in London as the Swedish chain launched its hotly-anticipated partnership with an Italian luxury brand. 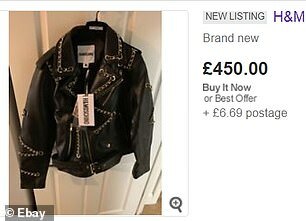 But some of the items were already on eBay ahead of the 8am in-store UK launch, including a £300 leather biker jacket which was available on the website for £460. 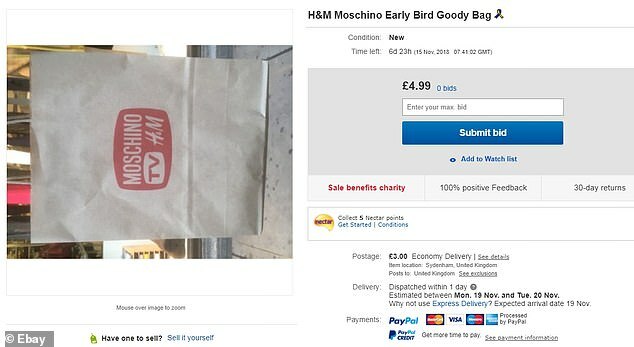 More than 350 items were listed under ‘H&M Moschino’ on eBay this morning as fashionistas paid over the odds to get their hands on the new range. 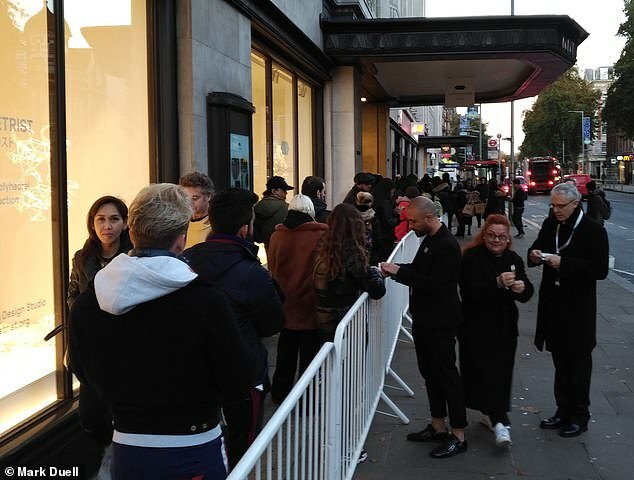 Even the goody bags handed out to the crowds – some of whom had been queuing outside in Kensington, West London, since 11.30pm last night – were on sale for £5. 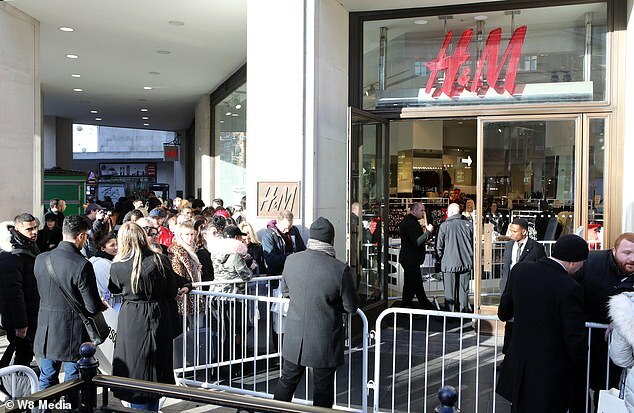 H&M’s website crashed this morning as shoppers tried to order items but is now back online. 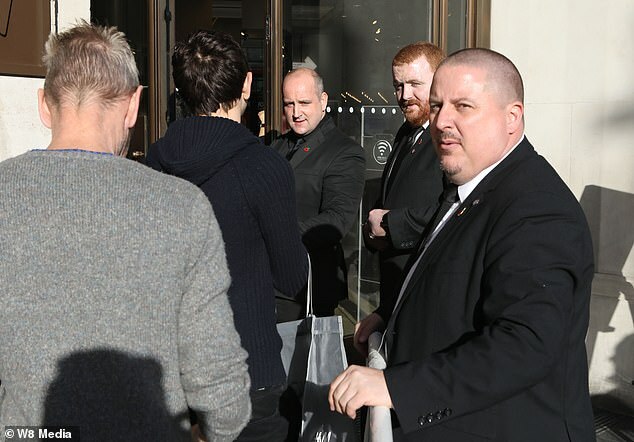 A spokesman for the firm said if any customers had issues accessing the website they should contact customer service. 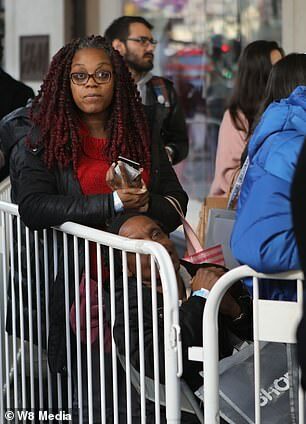 Felipe Oliveria, 30, who was at the front of the queue with his friend Anderson Oliveria, 42, told MailOnline today: ‘This is the first time I’ve done this in my life. 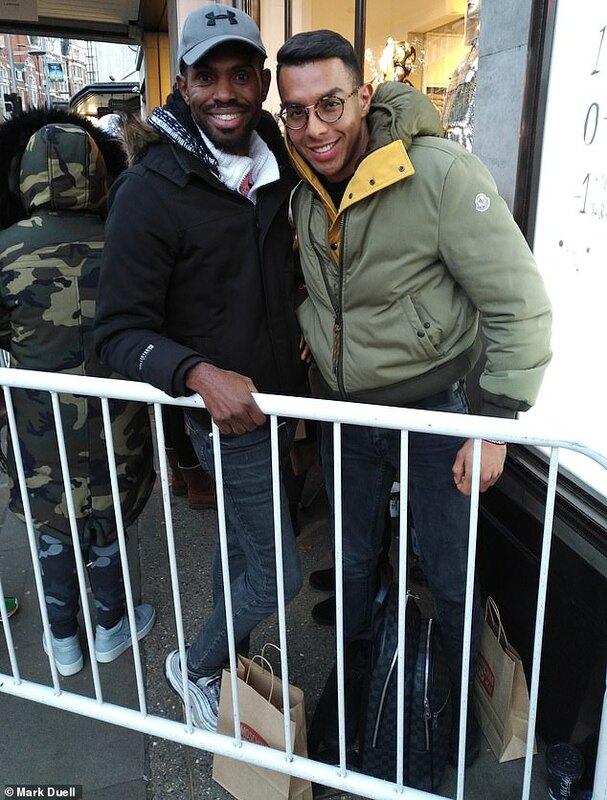 Also queuing up was Thomas De Lacey, 23, who said: ‘It’s exclusive and I buy Moschino anyway, so it’s quite cool that they do it for high street. 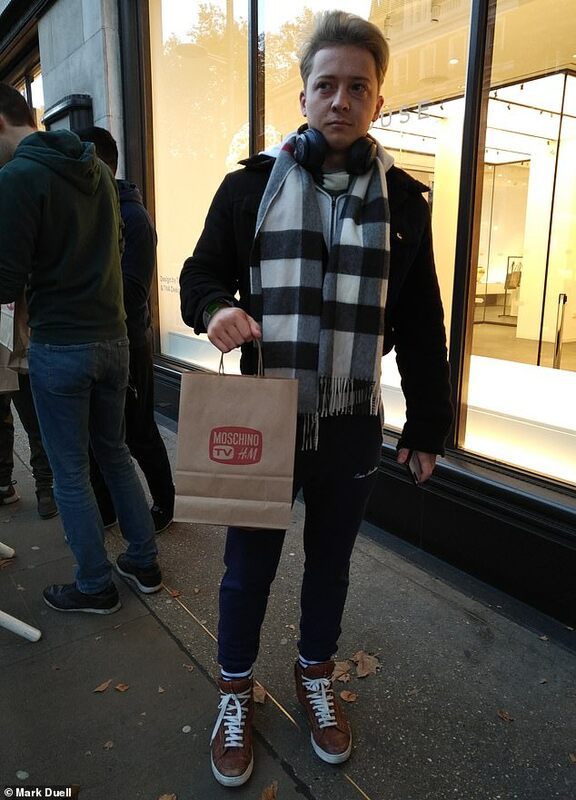 ‘But I always buy exclusive stuff. There was a big hype on it as well, so it makes it more appealing. I usually do it online because I don’t like these sort of things. 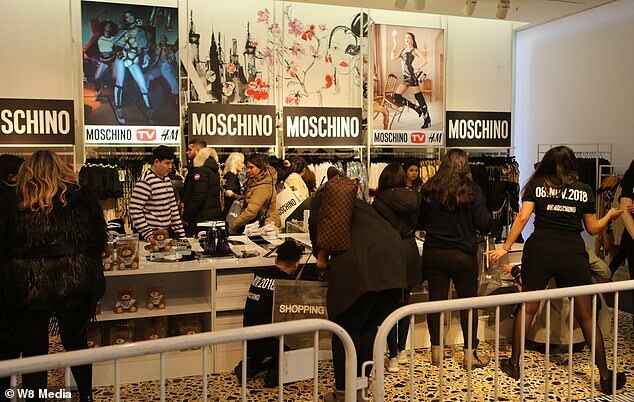 Today’s launch of the Moschino range is just the latest in a succession of lucrative high-fashion collaborations for the Swedish high street giant. 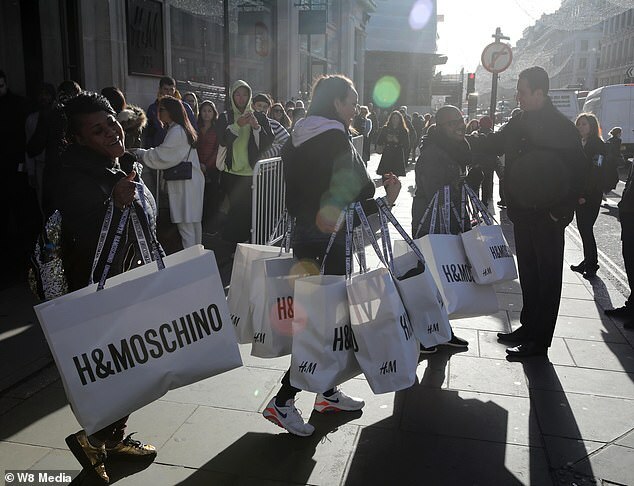 H&M’s previous partnerships with Kenzo, Versace and Isabel Marant flew off the shelves with pieces being flogged for up to four times the price on eBay. 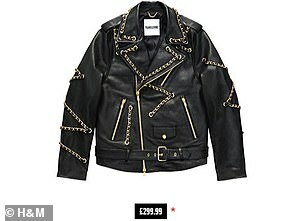 The Italian luxury label, headed up by creative director Jeremy Scott, is characterised by bold hues, eye-catching slogans and high-octane glamour. 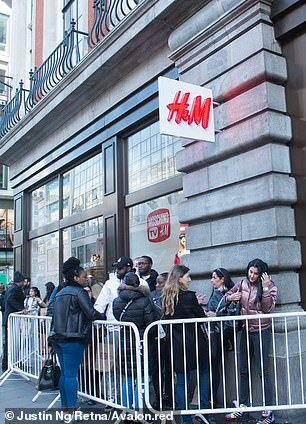 The flamboyant US designer told Femail of his H&M range, which starts at just £14.99: ‘I try to make people happy. 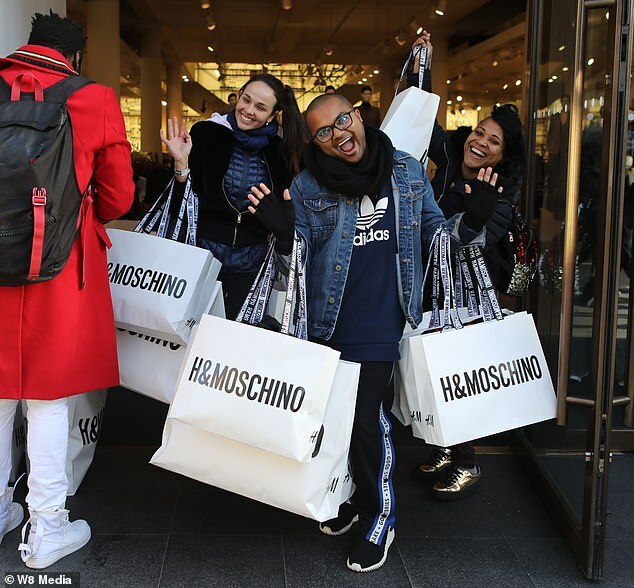 UK shoppers will hope to bag a bargain from the new collection, with Moschino’s ready-to-wear pieces costing upwards of £800 for a dress, and coats at £1,000 plus.